Simplifying, optimizing, and improving the energy procurement process. Let our market experts manage your daily energy requirements so you can focus on your business. Stay ahead of the curve through evaluation of on-site generation and energy offset alternatives. Benchmark, evaluate, and implement efficiency measures to optimize consumption. The EnerConnex advisory team provides critical market insight to help your company navigate through the ever-changing electricity and natural gas markets. Hedge against market volatility and rising prices while reducing peak demand through the installation of on-site generation systems. Determine how efficiently your equipment is operating, identify areas of improvement, reduce overall energy consumption. 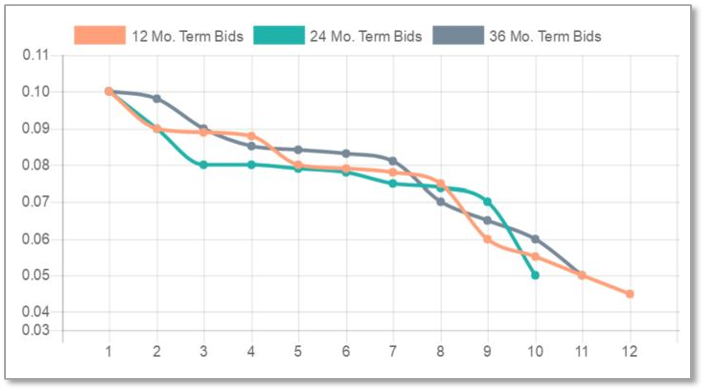 Evaluate your usage patterns and peak demand charges to see if a load curtailment program makes sense for your business. Reduce energy costs and hedge against future price increases while decreasing your overall carbon footprint. Define, integrate and track your energy sustainability objectives. Developed by the pioneers of the reverse auction technology, the platform design compels suppliers to deliver the lowest price as they openly compete to outbid the competition.